Things are going very well in the training of Snow. Truly, whoever adopts her despite her being partially deaf will adopt a great friend. She is very gentle and has a lot of love to give. 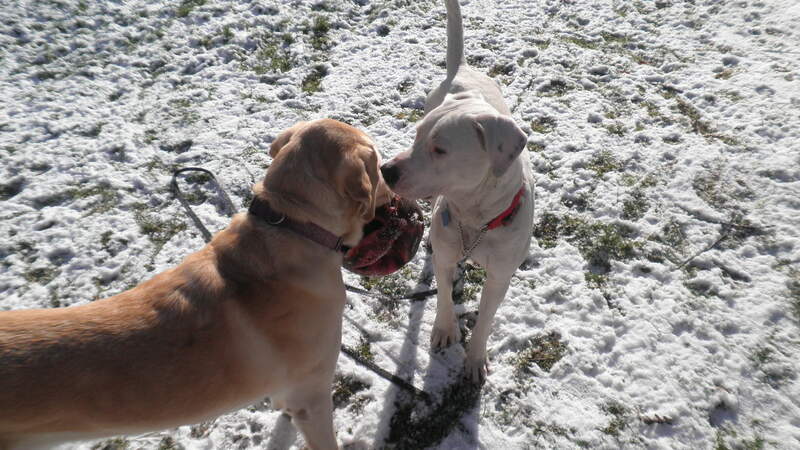 Day 8: Today I introduced Snow to my yellow Labrador, Windy. I did muzzle Snow at first just in case. Upon introduction I could tell that there wouldn’t be a problem and so quickly removed the muzzle. Windy who is always good about getting a dog to play. Was able to get Snow to chase her for about 15 minutes and then Snow was off looking for squirrels. I also took her for a walk in the park. She still gets excited when she sees a squirrel and needs to be corrected. The good news is that it takes a little less of a struggle to get her to focus on me and not the squirrel. 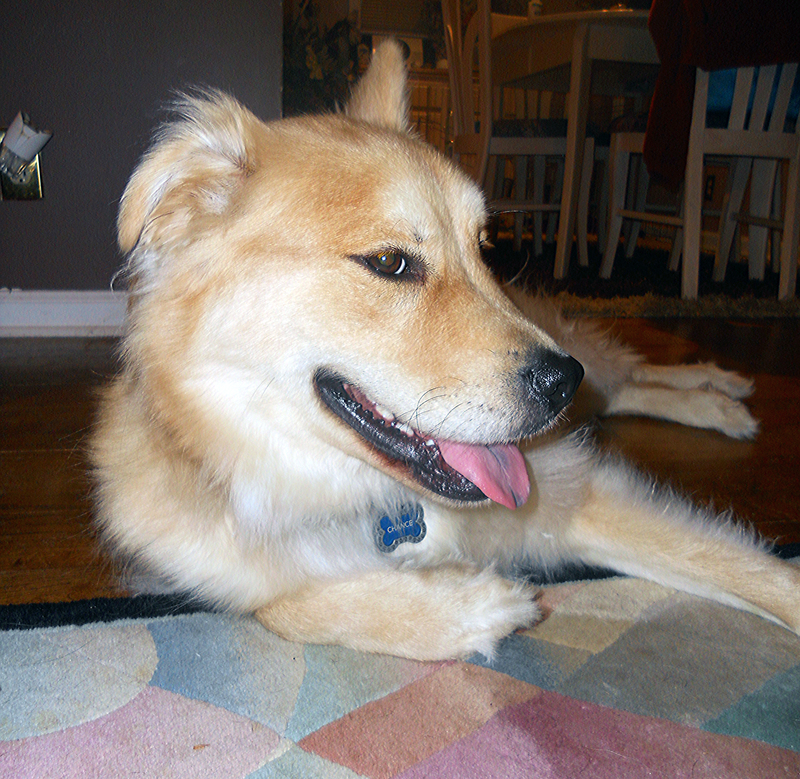 Days 9 & 10: Introduced her to Fireball, my Nova Scotia Duck Tolling Retriever. Snow thought that Fireball was neat. 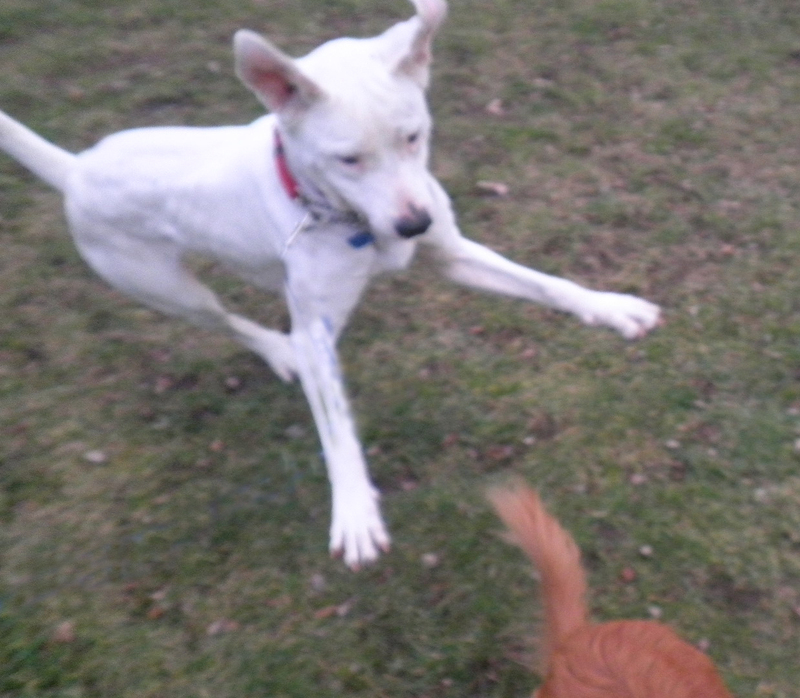 In fact she was much more interested in trying to play with Fireball than Windy. Of course Fireball is much smaller and Windy is also the Alpha female in the pack. I did have to correct Snow a few times in the beginning, because she kept trying to put her paw on Fireball’s back. The last thing Snow would need is to try to dominate. Fireball corrected her as well. From this point on I always let her out with my dogs. It is so nice to see her just run free in my yard. Her obsession with squirrels makes it so that she’ll play for only a few minutes and then stop and look for squirrels. Once she realizes there are no squirrels she will play with my dogs for a few minutes and again stop looking for squirrels. Days 11 & 13: Took her to the pet store. She did wonderful. I could see the first time that she went she was nervous. In fact initially it was a struggle to get her to sit. Down forget it. By the second trip she would sit and hold a sit stay. Snow was fine with all the dogs that she saw at the store. 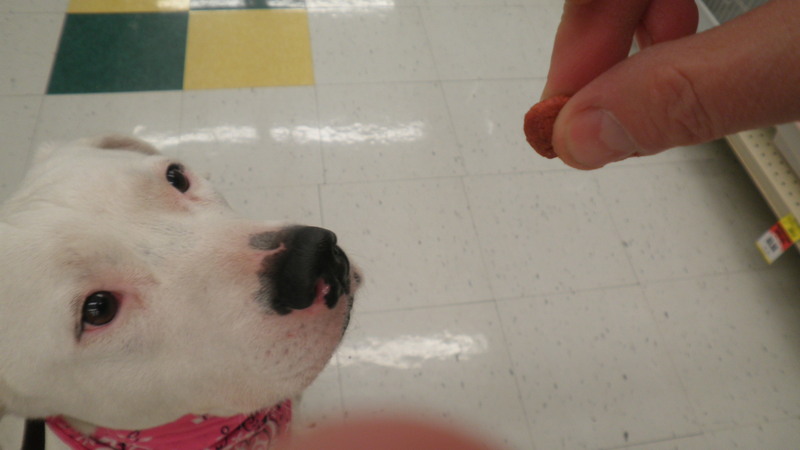 Of course she gets excited, but one correction, lots of treats and she would pay attention to me. Snow was wonderful with all the people that approached to give her cookies, even little kids. She did try to lung towards pictures of dogs or cats. The lung was not aggressively but more do you want to play. It is actually kind of funny. You could imagine her surprise when I finally let her run up to a picture and it was just a box. It was too cute. 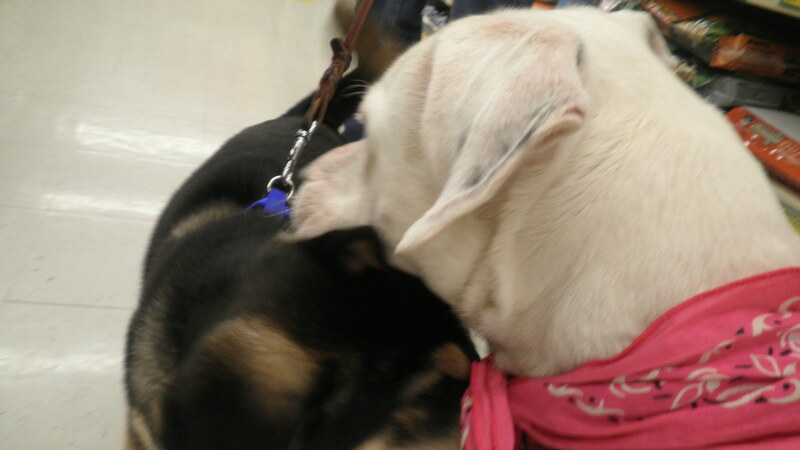 Day14: Took her to one of our obedience classes that was being taught by Cindi Fleishans. Cindi is a great trainer who is also a certified service dog trainer. What can I say, Snow was great. Of course it took a little to get her to pay attention to me, but in the end did what was asked of her. She even got to say hello to several of the dogs and was good. I have found that she is great with all dogs and really just wants to play. 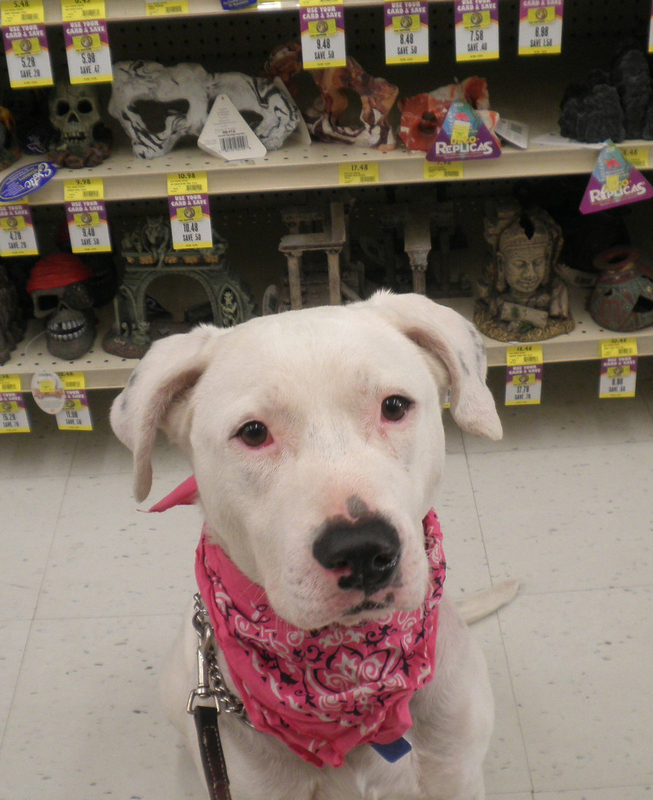 Once I was at the store and a client asked me about the classes that I hold at Pet Supplies Plus in Royal Oak. They had a little Shih Tzu with them and Snow very calmly stood at my side the whole time I talked to the people. Originally I was concerned with little dogs, because of her prey drive. She is fine. What can I say? 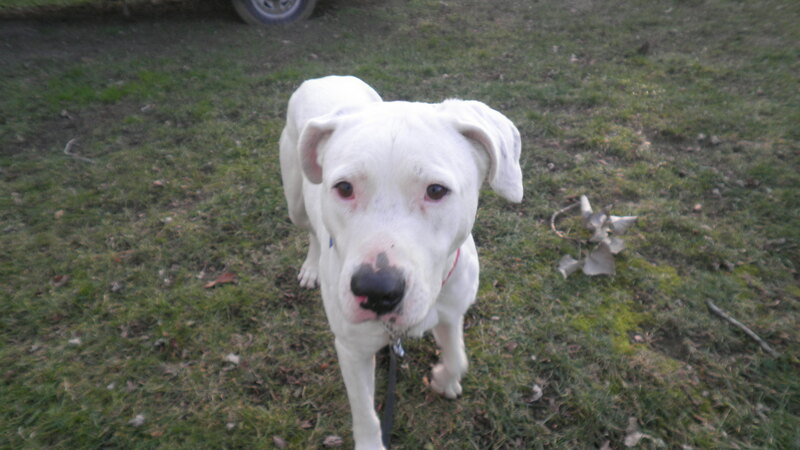 Whoever decides to adopt Snow will end up with a great dog. Her food aggression issues are all but gone. I can pet her, have my hand around her bowl and she is absolutely fine. I have also been able to take rawhide from her as well. She is great with people and wants them to pet her. Accepts other dogs and wants to play. The squirrel and cat issue is still a work in progress and it is best that she doesn’t go to a home with cats. I am also working with getting her to come when she is really distracted, but than for safety reasons. 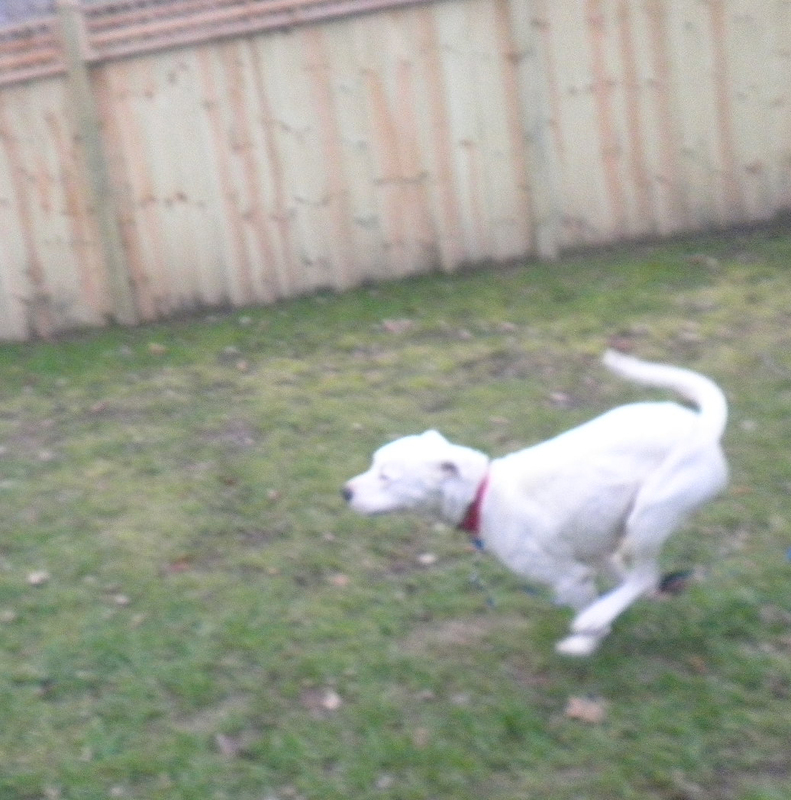 Because of not being able to hear very well, Snow will probably never be off leash other than in a back yard. Once again if you are interested in adopting her please contact me. 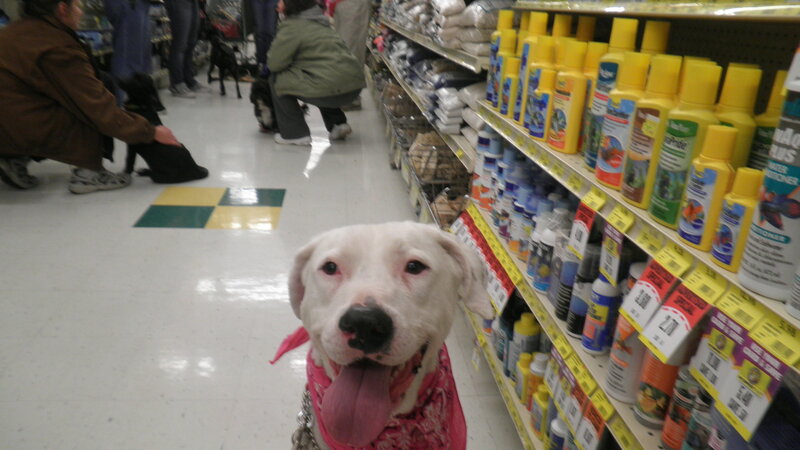 Meet Snow, a sweet Dalmatian mix that unfortunately is deaf. 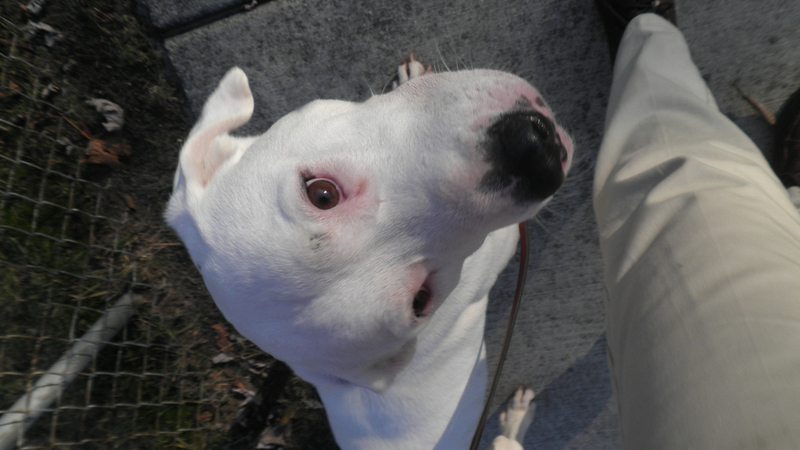 Snow has a very interesting story as she spent the past two years of her life in a shelter awaiting her forever home. In an effort to give Snow a chance, she was transferred to another shelter where it was discovered that Snow was going to be a difficult placement. Her time away from people seemed to have caused some behavior concerns. 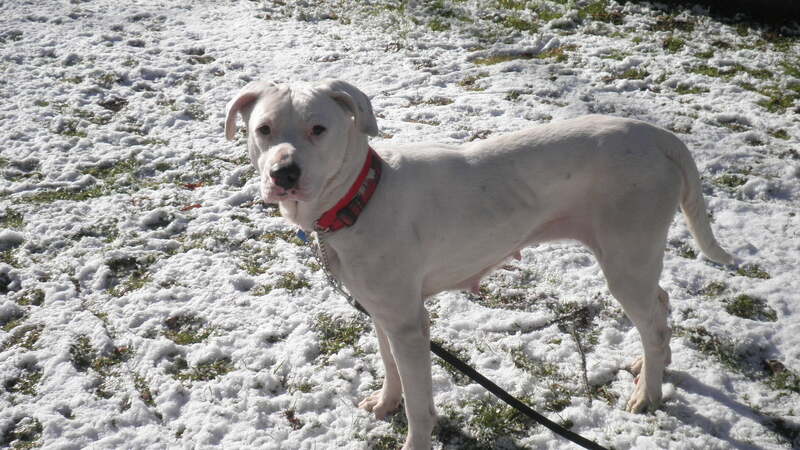 Snow deserves a home…but this is not an easy task for several reasons. •	Thought to be completely deaf. •	Not that food motivated. •	Reactive with other dogs. •	Aloof or detached from humans, because of having lived in a kennel for so long. 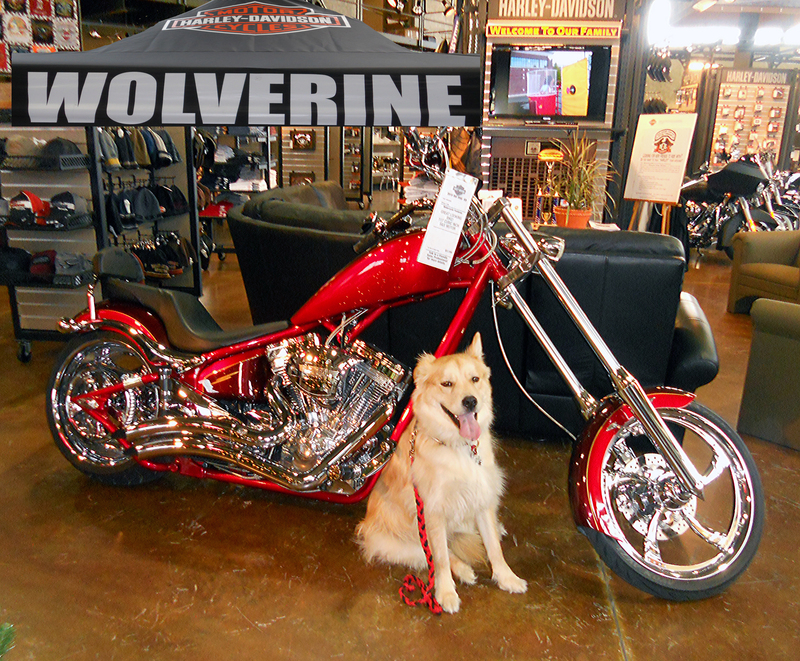 This is where Alternative Canine Training comes in. She needs so much special attention that the staff just didn’t have the time. It was decided that the best thing for her was to go Bonny’s Bootcamp. •	A happy dog but also a serious and cautious. •	Very distracted and disinterested in what we were doing. So off she went to bootcamp. Upon getting her home I noticed several other things. First I quickly realized that she is only partially deaf. She can certainly hear base. So if I clap my hands I know she can hear it. It seems like higher sounds like a high pitch praise are inaudible to her. As always the first 2 days are just getting to know her and to start teaching her to walk perfectly on a leash. Because, I don’t know how many verbal words she can hear; I use more hand signals. So instead of just saying, “Let’s Go” I also slap the side of my leg. I know she can hear the slap. Snow became very proficient at walking perfectly in the heal position within a day. She would look up at me and for once actually focus. Well until she saw a squirrel. I have seen dogs intent on getting a squirrel. Snow becomes possessed. Her brain literally shuts down to anything around her and would do anything to get at that squirrel. I can see she is used to just bullying her way to get what she wants. She is very strong and so will throw her whole body and pull in the direction of the squirrel or do a back flip trying to pull the leash from your hand and lung again towards the squirrel. To address the squirrel issue is just a simple matter of making sure she understands what the heel position is. Another words as long as her nose stays behind my leg she will be praised. In Snows case that would be an occasional pat on the head or a treat. Once we are near the squirrel and if she tries to leave the heal position. She gets corrected and getting back to the heal position will produce a treat. Of course when she is trying to focus on the squirrel, Snow could care less about the cookie. Normally in this situation I would praise the dog profusely for staying in the heel position. So the process is going to take a little longer. For now I will just walk through the neighborhood, because of all the Oak trees there are plenty of squirrels. By next week, weather permitting I am planning on walking each day in the park. Now for some control exercises like sit and sit stay. When I made the hand motion to indicate sit she would totally ignore me. Okay she sniffed my hand to see what I had. I tried 3 different treats and same results. Each time she would see what I had. She showed an interest by the 4th treat, but rump only slightly went down. So I massaged her down as demonstrated on my DVD “Obedience for Life #1”. She is now doing much better at sit and for the rest of this week we will work on ignoring squirrels and sit stay. I am so fortunate to have the opportunity to work with her and I am glad that it has been decided to give her a chance. She really is a nice dog. In fact had to put her in an Irish Wolfhound size crate, because whenever I approach her crate. Her tail wags so profoundly that I was afraid she might beat the tip off. She really wants to be loved, but doesn’t know how. This stems from her being kenneled most of her life. 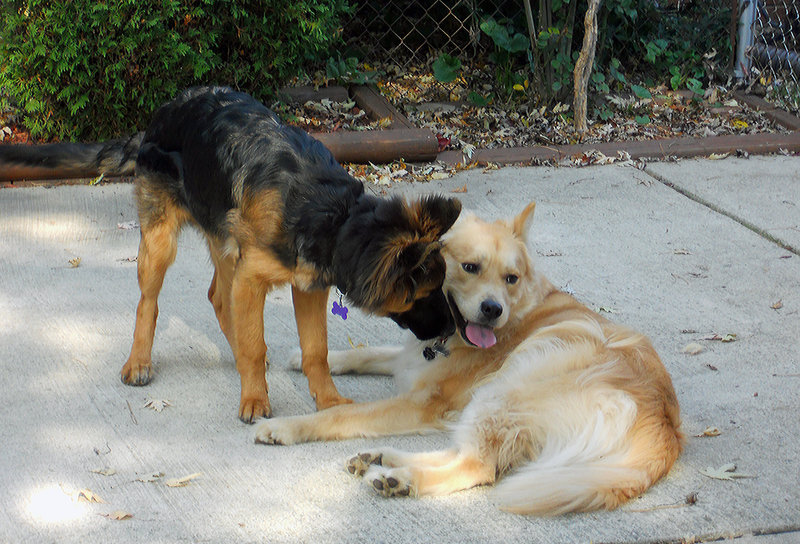 Next week I will start working on home manners and try to introduce her to my dogs. I’ll keep you posted. I received a phone call from Metro Area Animal Adoption Association asking if I could come out to evaluate a dog named Cupid that had developed some aggressive behaviors. 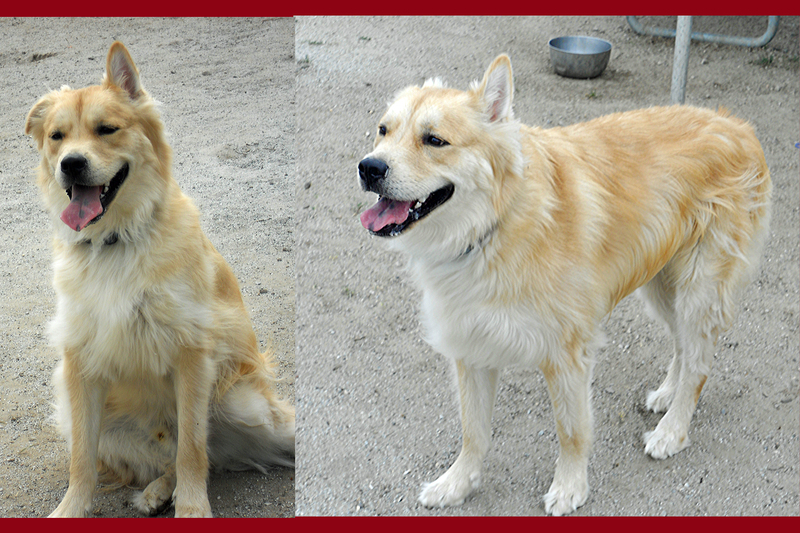 Cupid is a Golden Retriever, Chow & German Shepherd mix and he’s about two years old. He had been adopted once but returned due to aggression. At first I was hesitant to take on Cupid’s case. Upon evaluation, if I got too close to him, he would lunge aggressively at me. So putting on a leash or collar was out of the question. So was trying to get him off the couch! Simple handling of Cupid was nearly impossible for me. 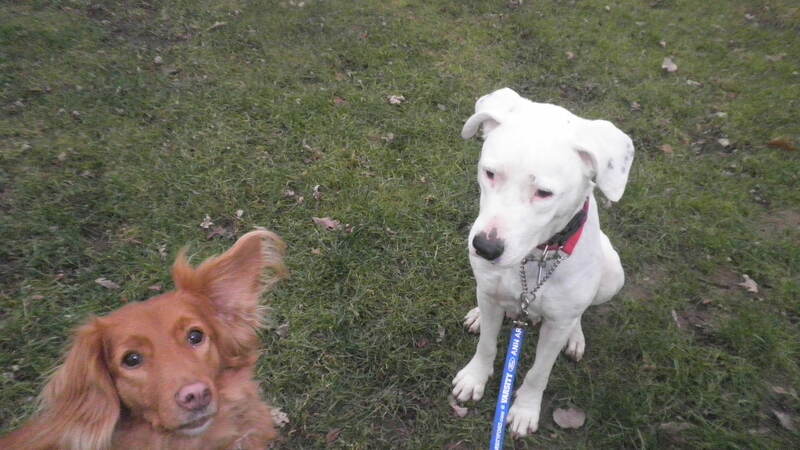 But once Julie, who met me at the foster home to help out, put his leash on I grabbed it and went for a walk with Cupid. Immediately I discovered that underneath the aggression was a dog who wanted only to give kisses and to be loved but most of all needed guidance, discipline and strong leadership. Although I was still hesitant about this case I decided to take Cupid into my home and try to rehabilitate him. Initially there were power struggles, attempts at lunging aggressively at me and some biting. It was touch and go at first but through it all I saw a sweet sole underneath his tough exterior. Each day Cupid would respond better and better. There were fewer power struggles, no lunging, but still some dirty looks! In the end, Cupid accepted the guidance and direction he was given. Chance is such a Good Boy! process I fell in love with him and decided to adopt him to be a part of my pack. He is truly a joy and I am really enjoying his company. To be honest I started taking him everywhere and he loves it. Cupid has also brought back life into my own two dogs who are 12 and 14 yrs old. Usually my dogs never want to socialize with the dogs that come into our house for behavior issues because they are old and arthritic and it’s just too much effort to socialize. But amazingly they did with Cupid. 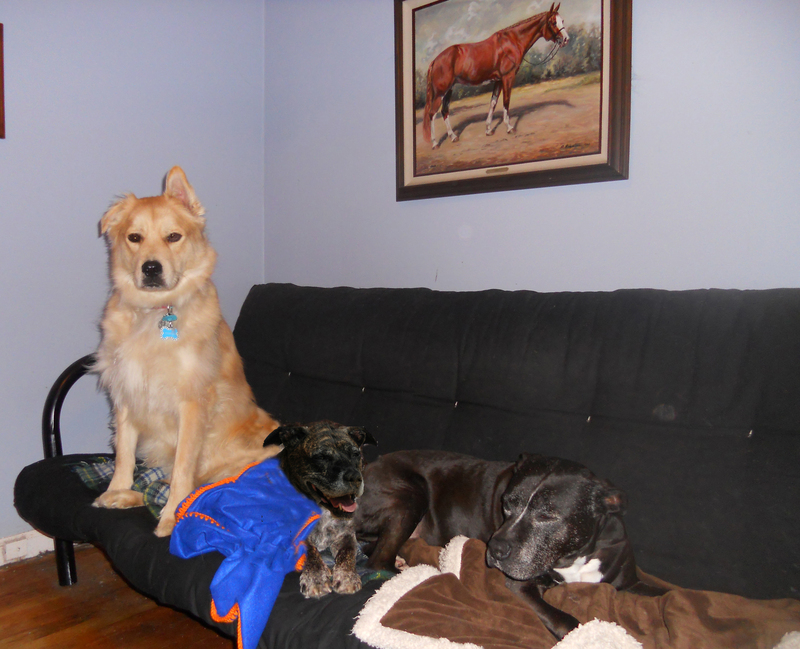 Cupid has given my two dogs a second chance at living a youthful life and for that I am forever grateful! Now Cupid’s name has been changed to Chance. As the title of this story suggests, everyone needs a second Chance. So Chance was an appropriate name for a dog that truly has been given a second chance at living his life to the fullest.